Some are deceived by the off feature in iPhone Airpods settings. See below. 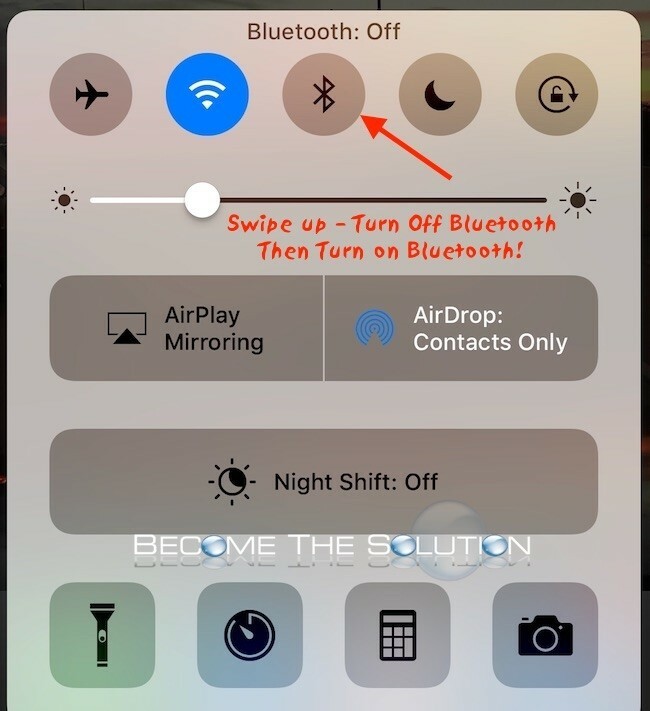 *Update* The easiest way to disconnect your AirPods from your iOS device is to swipe up on your home screen and toggle off and on the Bluetooth button. This will disconnect your AirPods immediately. 1. On your iPhone, go to Settings -> Bluetooth -> Your AirPods. Click the i next to it. 2. Find Double-Tap On Airpods and select Off. This feature actually turns off the AirPod double-tap feature and does not turn off your AirPods when you are not using them. 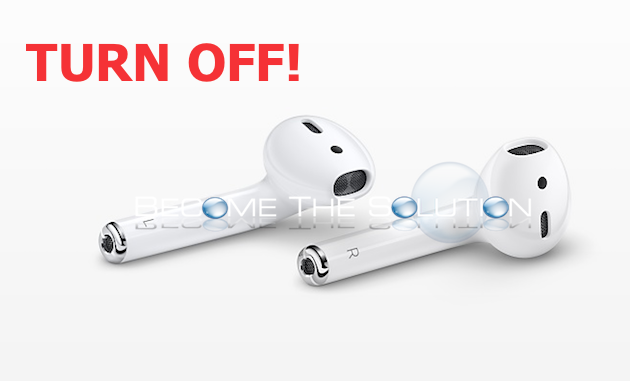 At the moment, there is no way to turn off your AirPods – even if you disable your Bluetooth. It’s unfortunate Apple could not incorporate a simple off feature and we’ll just have to get used to putting our AirPods back in their case when we are not using them. If you have found a way to turn off the Apple AIrPods please use the form below to let us know. I found out you can force the AirPods to stop using Bluetooth by putting them in the case, closing the lid then plugging then unplugging the charger. This will disconnect them. If you find any other way please do let us know.